Size: 14 in. × 10 in. 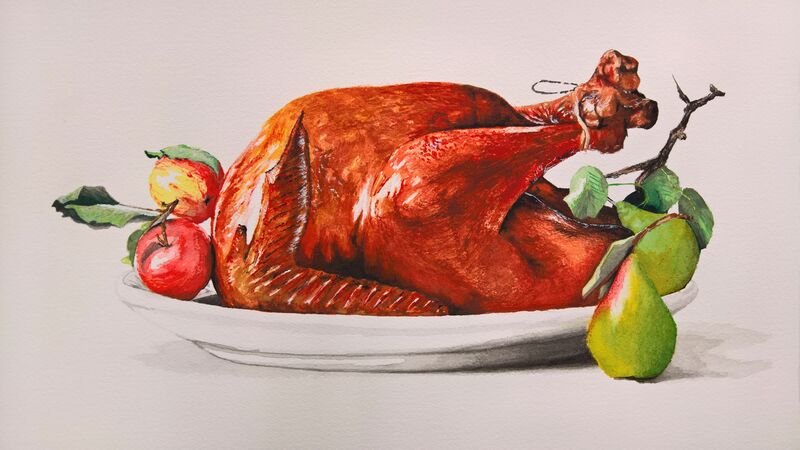 This painting was my first serious stab at watercolour. 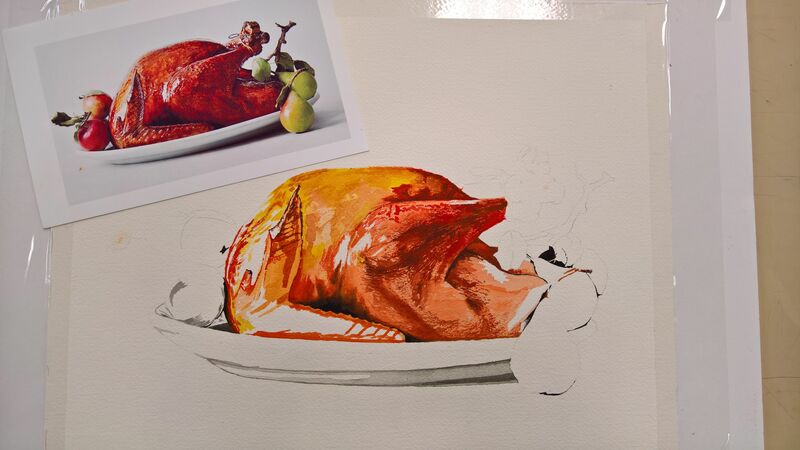 In class, we received the option of painting either a deer or a turkey. 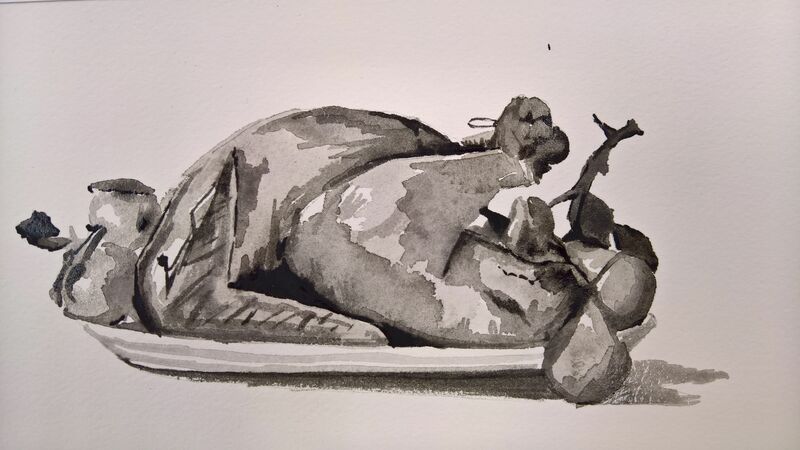 Because most students chose the deer, I picked the turkey. Drawing preparation first began with a light study to help distinguish the dark and clear values. After a couple hours of first drawing outlines, the design was ready to be transferred lightly to watercolour paper and painted. I first began with the black highlights; then, following an application of yellow, the other pigments were added on gradually, ending finally in the fruits, leaves, and plate of the outer edge. This is the painting in the making as copying from the original photograph. In my rendition, I was careful to proceed slowly and attempted to capture the original photograph in the best way possible. One surprise to me in painting was how – though one might think a simple chunk of meat plain – many bright reds, oranges, and yellows were necessary to reproduce the image accurately. For the skill level required overall, though certainly not perfect, this painting did very well – and even surprised me somewhat. Unless otherwise mentioned, this webpage and its content is licensed under the Attribution 4.0 International license. You may quote and copy this material if you give correct credit to the author and do not distort or otherwise change the original meaning of his words. Copying any material on this website without giving correct credit to the author is both plagiarism and copyright infringment, and will be treated as such. Denis G. Labrecque published this document on September 22, 2016. Proudly hosted on GitHub using Jekyll markdown.